If you’re not already a multi-millionaire, chances are you don’t have a team of 401k experts ready to manage your retirement account for you. These services, which were once only reserved for the ultra-wealthy, are now available to everyone for a small monthly fee. 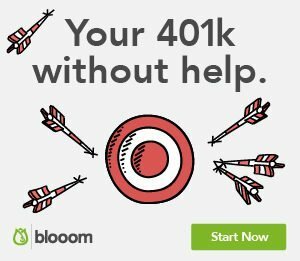 Blooom is changing the way that 401k management is handled and gives everyone the chance to let financial experts manage their account and set their financial future up for success. 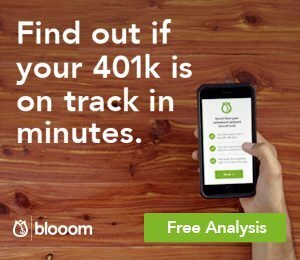 Whether you are active in your current 401k management or you don’t even know where to begin, Blooom can help with your retirement planning. In our Blooom review, you’ll see just how you can change your financial future and why you should sign up for Blooom today. Blooom was founded in 2013 by three guys who were tired of managing money for the ultra-rich. When they saw that their friends and services would never qualify for their money-managing services, they decided to quit their jobs and create a platform to help everyone with their retirement plans. Blooom is designed with everyone in mind, meaning there are no restrictions on who can sign up for Blooom’s management services. 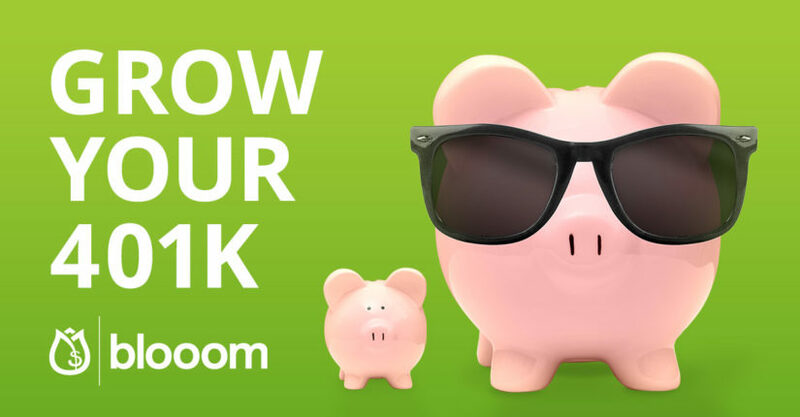 When you sign up for your Blooom account, you’ll get unbiased, expert advice whenever you need it. Retirement accounts such as 401ks can be complex, and chances are your company isn’t managing your account for you. No matter what questions or concerns you have about your retirement account, the experts at Blooom will be there to help. The simple, affordable service gives everyone control of their financial futures. 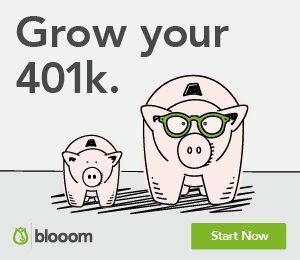 Blooom has countless partners and investors, making it one of the top 401k management services in the world. Blooom is a very simple, straightforward service that allows financial experts to manage your retirement account for you, meaning fewer fees and higher earnings. When you first create a Blooom account, you’ll be asked some basic information about your current financial knowledge and your retirement goals. 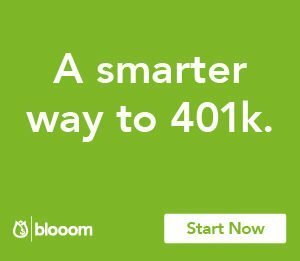 You’ll be able to sign in to your 401k through Blooom’s secure online portal, where Blooom will analyze your retirement account on the back-end. Based on your answers to the questions about your financial knowledge and your retirement goals, Blooom will create a customized plan for your retirement investments. The system will walk you through various aspects about your retirement account, such as the current fees that you pay and the mix of investment assets that you have in your account. You’ll receive personalized suggestions on diversifying your portfolio and you’ll see just how Blooom can help reduce fees and grow your account. While there are no guarantees, Blooom’s forecasting showed that they can help grow retirement accounts significantly. The best part about the initial analysis of your retirement account is that it is completely free. When you sign up for your account and let Blooom analyze your account, you aren’t committing to moving forward with Blooom’s services. This lets you get a good idea of how the service can help and if it is right for you. When you do sign up for the full Blooom account, you’ll pay just $10 per month for expert retirement account management services. Your retirement management plan will be customized to your personal financial situation and how close you are to retirement. When you sign up for Blooom, you can sit back and relax while your retirement account is managed for you by a team of financial experts. Signing up for Blooom gives you much more than expert retirement account management. The team at Blooom wanted to give everyone the same high-quality services that were typically only available to the wealthy. Here are some of the fantastic additional features that you’ll receive as part of your Blooom account. Blooom’s approach to retirement account management is making your money work smarter and harder for you. Not everyone has room in their budget to contribute more to their retirement account, so Blooom helps reduce the fees you currently pay, meaning that you have more money in your retirement account to help grow that balance. One of the biggest mistakes that people make with their retirement accounts is not understanding the fee structures for their various investments. Some accounts pay hundreds of dollars in fees each year without even realizing it. Blooom will analyze your retirement account for free, and when you sign up for retirement account management with Blooom, they’ll review the current fees that you pay and will adjust your account to lower those fees and increase your returns. To date, Blooom has helped save over $600 million in retirement account fees, and that number grows every single day. Financial and personal information security is extremely important, and Blooom provides multiple points of protection for your account. This service is included in your Blooom account at no additional cost. Even though companies and the financial institutions that house your retirement plan have their own protections, Blooom adds another layer of protection to keep your finances safe and secure. Blooom continually monitors your retirement account for any suspicious or unusual activity. If there is any suspicious or unusual activity such as a loan on your account or a withdrawal, you’ll be immediately notified via email and text. In addition to protecting you from suspicious activity, Blooom also monitors your account for additional hidden fees that funds may try to include on your account. You’ll pay fewer fees when you put your retirement account in the hands of the financial experts at Blooom. Finally, you’ll also be protected from reacting to bad market conditions. Many investors panic when there’s a downturn in the market, and often make the mistake of selling off investments, which is when investors truly lose out. 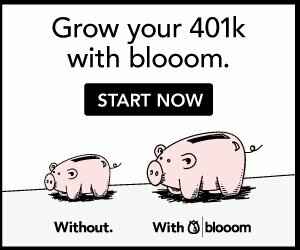 When you give control of your 401k to Blooom, they’ll make sound financial decisions on your behalf as the market changes. Your information is also safe and secure with Blooom’s bank-level security, including 256-bit encryption and dedicated secure servers. Regular retirement account rebalancing is an important part of creating growth in your account. When you sign up for Blooom, the team of retirement investment experts will take your current portfolio, assess your retirement goals and personal financial situation, and will create a completely new portfolio that aligns with your retirement goals and timeline. One of the best parts of signing up with Blooom is that your account will be rebalanced regularly and automatically. This fantastic service is also included without any additional charge. When certain funds are added or removed from your available options or when your retirement goals change, your account will automatically be rebalanced to meet your personal retirement goals. As we mentioned previously, you’ll receive unlimited, on-demand advice from Blooom’s team of experts. The guidance alone is more than worth the $10 per month that you’ll pay for retirement account management services. You’ll be able to contact a member of Blooom’s team via live chat or email, meaning you can get the advice you need at any time of day or night. Blooom is unique in the fact that it provides support for no additional charge. 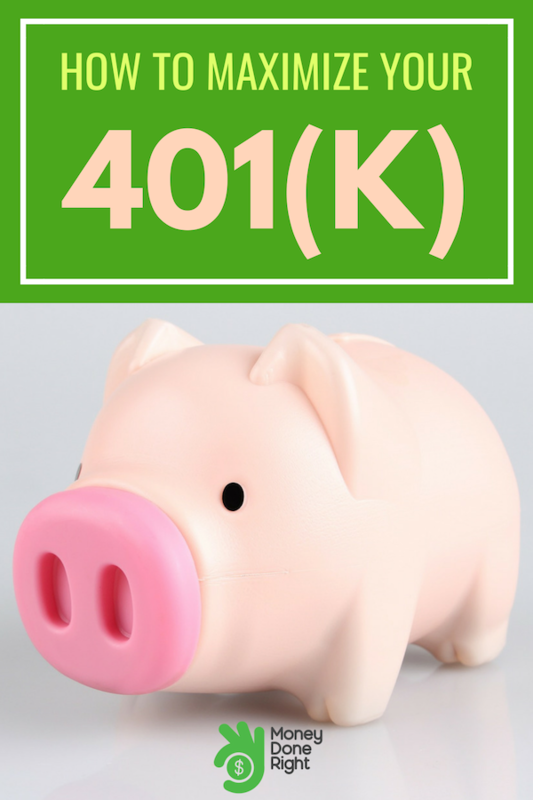 Many financial institutions that house retirement plans only provide support for an additional fee, which usually is a certain percentage of your 401k balance. There are two account types that you can choose from when you sign up for Blooom, so whether you’re looking for a brief overview of your retirement plan or full management services, there’s something for everyone on Blooom. 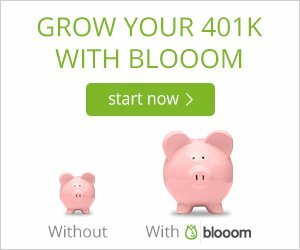 The free Blooom account gives you general information and guidance for your 401k or other retirement account. When you sign up for a free Blooom account, you’ll just need to link your existing retirement account to receive a free analysis on your account based on your retirement goals. This is a great way to get a baseline understanding of your retirement assets and how your investments are performing. With the free analysis, you’ll be shown hidden investment fees, what you’re invested in, and you’ll get personalized recommendations for your plan. By paying just $10 per month, you’ll receive a robust lineup of retirement account management services. In addition to what you’d receive with the free account, you’ll get expert help with all of your retirement account questions. In fact, you can ask the team at Blooom virtually any financial question, even if it has nothing to do with the retirement account that Blooom is managing. You’ll also receive the incredible features what we reviewed earlier, including automatic rebalancing, reducing fees, and suspicious activity alerts. When you sign up for retirement management with Blooom, you’ll get to sit back and relax while Blooom maximizes your retirement account returns. With so many services available with your monthly subscription fee, you may be thinking that you have to commit to Blooom for a certain amount of time when you sign up. The truth is, you can cancel Blooom at any time, so you’re not locked into any contract or service term agreement when you sign up. You can sign up, let Blooom manage your account, and cancel your Blooom account at any time if you feel Blooom is not right for you or if your finances change. Blooom’s retirement management services are just $10 per month for any account size, making it much more affordable than any other retirement management service out there. With so much to offer at such a low price, you may be wondering if Blooom is a scam. Blooom has helped thousands take control of their retirement planning, and we can confidently say that Blooom is not a scam. In fact, it’s one of the best things you can do for your retirement planning. At just $10 per month, you’re getting the same financial management and advice that can cost hundreds, even thousands of dollars over the course of a year, making Blooom more than worth it. Almost everyone needs help with their retirement planning, but not everyone can afford expert advice and portfolio management. With Bloom, a team of financial and retirement planning experts is there to manage your portfolio automatically, providing you with support and advice whenever you need it. Bloom’s impressive lineup of services are included in your $10 monthly fee, allowing everyone to have access to sound financial planning.